CQ Assessment-based Research coming soon! for Developing Change Intelligence®, we design and deliver customized solutions that catalyze change to produce transformational, personal, organizational, and bottom-line business results. Does your organization deftly respond to the changes constantly occurring in your industry, competitive environment, and workforce? Do you have the leadership capacity at all levels in your organization to partner together to inspire powerful, positive change? Do you have the kind of work environment (culture, people practices, interpersonal behaviors) that engages people to perform at their best? Do you want to “take it to the next level” in your ability to catalyze people and teams and toward measurable results? Do you want to increase your personal change capacity, overcome adversity, and build resilience? To adopt a proactive approach to new opportunities, and break through blocks from the past? Download Two Free Chapters Now! FREE Excerpt from Change Intelligence: Use the Power of CQ to Lead Change that Sticks is now available! 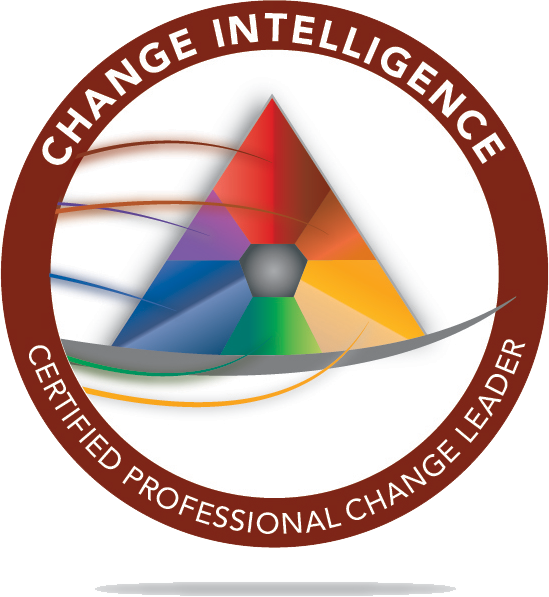 Change Intelligence invites change leaders to diagnose and understand their change management style, learn about it's strings and blind spots, all on the path towards building change intelligence. The book is highly relevant and useful or any leader or manager trying to make effective change happen. Jane E. Dutton, Ph. D.
The one thing business leaders mess up most is the management of change. In Change Intelligence Barbara Trautlein rigs the game for you. This insightful, powerful book removes the mystique from effective change management, and provides an intuitive but highly effective toolkit for managing change in any situation. Unless you spend your days working on your own in an underground bunker, you need to buy this book. Change is the work of leaders, and if you were going to do that work exceptionally in the best place to learn how is in Barbara Trautlein's new book, Change Intelligence. Change is hard work, but it will be a lot easier after you've read and apply the lessons in Change Intelligence. 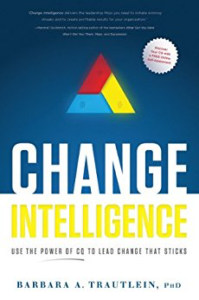 Change Intelligence is more than just an entertaining read or abstract theory: Trautlein provides a clear roadmap for developing change leadership organization-wide using proven case studies on building bench strength from the executive suite to the shop floor and equipping change leaders. Executive Vice President for Steelmaking and President and COO for Steel Operations, Steel Dynamics, Inc. Whether you are a CIO, IT project manager or technology professional on the front lines, you'll find Trautlein's Change Intelligence provides a practical, insightful roadmap to help you effectively engage and equip your teams to navigate towards successful and sustainable transformation. This is a book I wish I had written. Trautlein argues that leaders at all levels of an organization need to develop a strong Change Intelligence (CQ). Yes, yes, yes. Having gone through a sizable merger and facing a system-wide change, the CQ process helps me as a CEO and my senior management team identify issues on how to lead our organization.